you've got to live the verses and fall back on the chorus." Richard Pawling Rich wrote the book on interpretation. Stacy Glen Good friend and fellow song-writer. David Connell website by a close friend and excellent writer. News, opinion, culture...it's all here! Tom Flannery great Pennsylvania songwriter. Nick Ippoliti - singer/songwriter & Aesthetic Education Specialist, one of Pennsylvania's best artists! Larry Walters II. A great friend and crusader for America's veterans. Schoolhouse Music, Owner Scott Fritz. This is one of the most honest and trust worthty instrument dealers in the country!!! Scott knows the instruments that he sells! 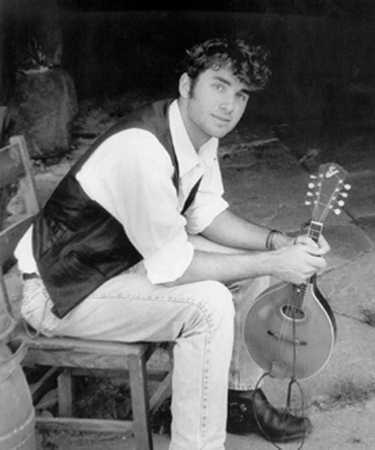 He played fiddle on my 1998 album "Climbing to the Top" , and 2000 album "Flat Bottom Town." Fred Iobst a good friend and an excellent magician and entertainer. Hickory Project. Absolutely one of the best group of musicians in the country. Check em' out! Studio Brick's Home Page, My mom's studio for the arts, check it out! Ben and Maureen Carr, 2 of the coolest musicians I've ever met. They sponsor an open mic that was a big part of my early performance experience. I still stop by their open mic at the Blue Marsh Canteen, near Reading PA, whenever I can! Woody Wolfe Musician, song-writer, recording engineer, and close friend. Woody leads a christian ministry. KJ A truly wonderful song-writer and performer. KJ writes quite a bit about Central Pennsylvania. Lorne Clark One of my favorite blue-collar song-writers. He is truly one of Pennsylvania's finest individuals. The Danville German Society , the only people left in the world that practice elk tossing. The Lykens Valley Bluegrass Boys , great music and true gentlemen. The Labor Heritage Foundation. Works to strengthen the labor movement through the use of music and the arts.